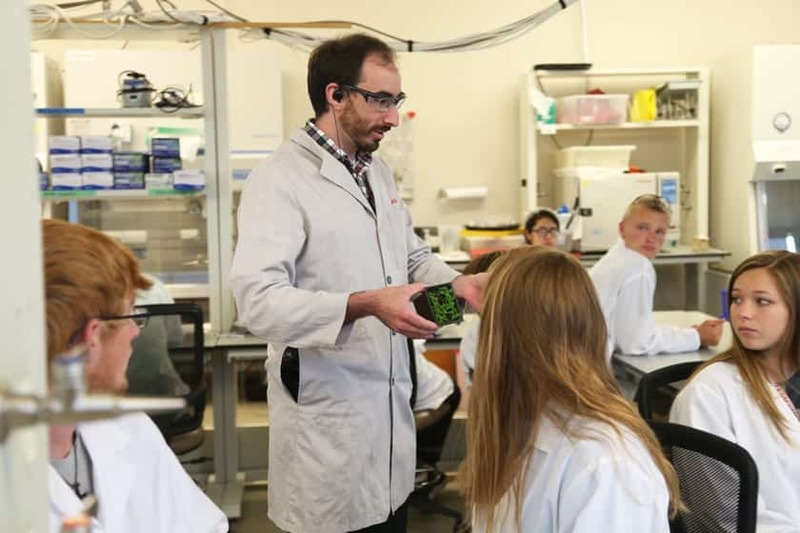 For the last 11 years, high school students and teachers from rural communities in Wisconsin have journeyed to Madison to dig into stem cell science, learning from leading researchers in regenerative medicine. 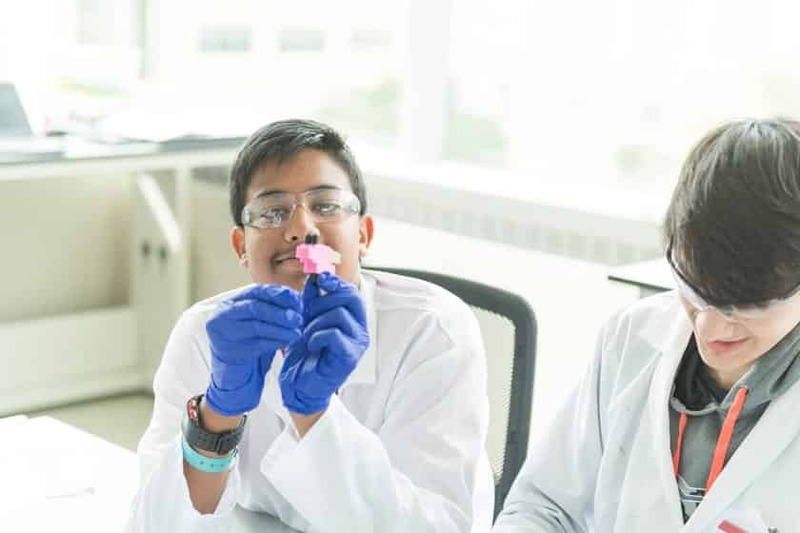 Sponsored by the Morgridge Institute for Research, the weeklong Rural Summer Science Camp explores regenerative medicine through topics like tissue engineering, drug discovery, microfluidics and medical imaging. 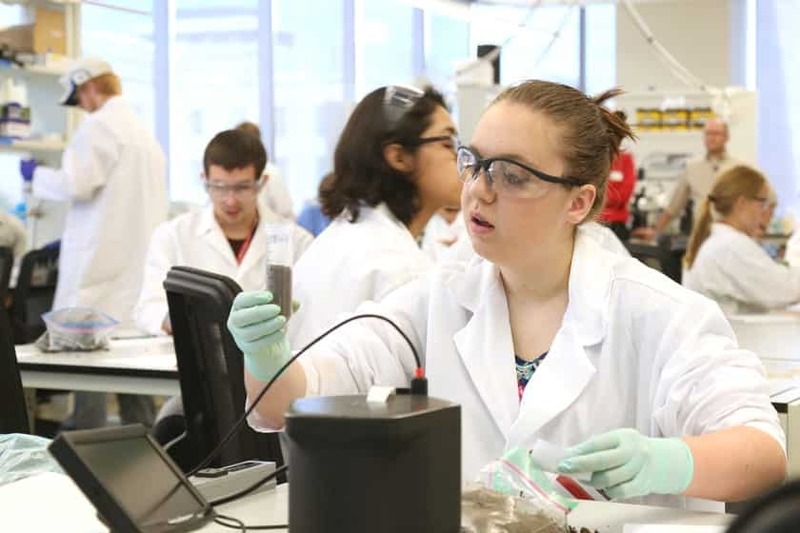 Dan Murphy, Outreach Coordinator at the Morgridge Institute and one of the camp organizers, says it’s an opportunity for the students to learn more about the scientific process and what it means to be a scientist today. 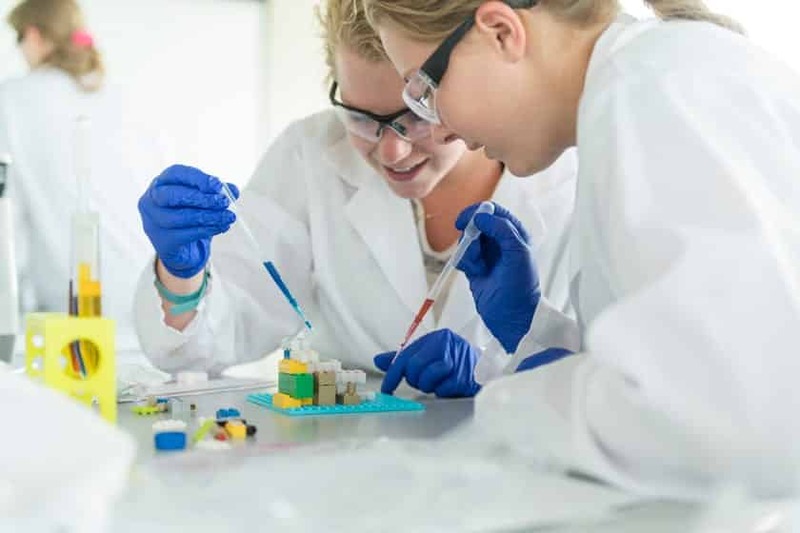 Campers have the opportunity to work with scientists at various stages in their careers from undergraduate students to graduate researchers to principal investigators from the Morgridge Insitute and UW-Madison. Morgridge runs the camp in partnership with the Wisconsin Rural Schools Alliance (WRSA). It is supported by an endowment established by the family of Kathleen Smith, a former trustee of both the Morgridge Institute and the Wisconsin Alumni Research Foundation. WRSA and the Melita Grunow outreach endowment at Morgridge also support the camp. 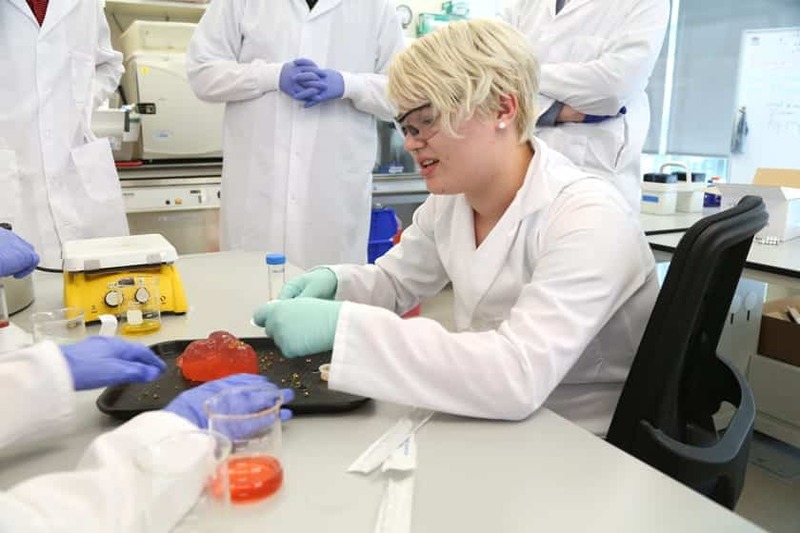 Students used specially-designed blocks, compatible with traditional Legos, to send liquid through tiny channels and learn how scientists use microfluidics technology to advance their research. Students model microfluidics technologies by creating interlocking structures with custom blocks. The blocks are designed with minuscule channels in which liquid flows through. 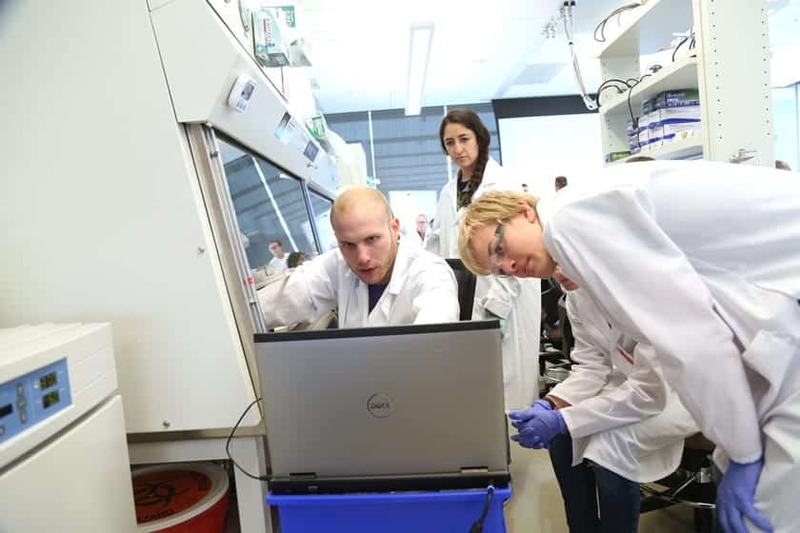 Daniel Gil, a graduate researcher in the Multiscale Imaging in Medicine Lab led by Melissa Skala, manipulates a microscope under the hood while the cellular image projects on a laptop. The Skala Lab led a multi-day research project with the campers looking at treatments for cancer cells. Morgridge Outreach Coordinator Dan Murphy shows off the plants students use in an experiment on epigenetics, exploring how genes can be turned on and off due to signals in the environment. 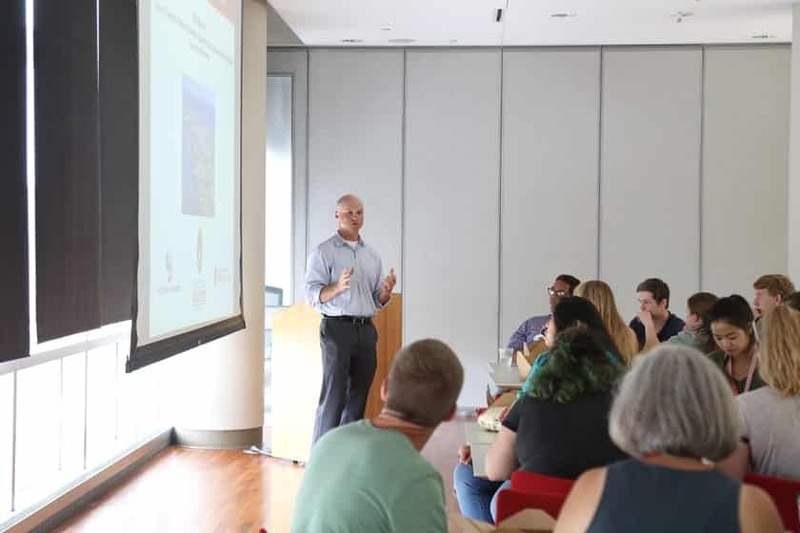 Bill Murphy, co-director of the Stem Cell and Regenerative Medicine Center and professor of biomedical engineering at UW-Madison, discusses the field of regenerative biology at a lunchtime lecture. Murphy has been an integral part of the camp since its inception in 2006. Researchers from the Murphy Lab, led by biomedical engineer Bill Murphy, lead an activity in tissue engineering. Campers work with a gelatin heart and glitter "stem cells" to see how researchers might use stem cells to repair heart defects or injuries. Sailendharan Sudakaran from the Vetsigian group at the Wisconsin Institute for Discovery shows off a microscope built in-house for studying microbial interactions. Campers prepared petri dishes of bacteria that they then viewed under this microscope. Students prepare sample of soil, collected from each of their hometowns, to analyze its composition and microbiology. This multi-day experiment highlights how researchers study and combat antibiotic resistance.